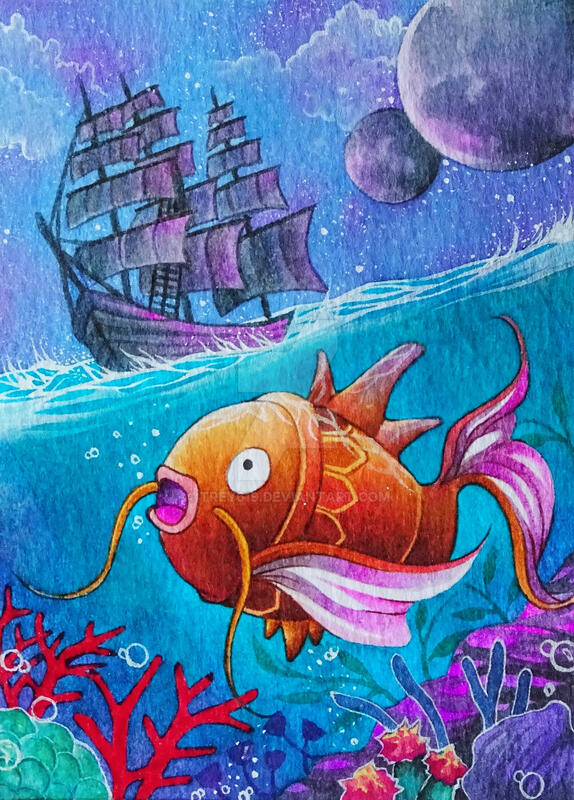 The third and last Magikarp kakaocard : 3 This time the little Magikarp swim trough a fantasy underwater landscape to find out what's on the other side of his world.. This is colorful and amazing! Gives me the feeling to travel to somewhere and discover a lot of things! This is such a beautiful work, perfectly capturing the spirit of adventure. A brand new world, with the chance to travel and see new things - and of course, a familiar companion to make the journey even better. Magikarp has been a series constant, and ultimately one of the most useful Pokemon around due to its potential - why not let a long-standing and very durable friend stand by your side?